An ~1.2GB download hit the Public Test Shard for 19th October 2014. Some more Minion cards, cost adjustments to Amenders and Masteries changes. 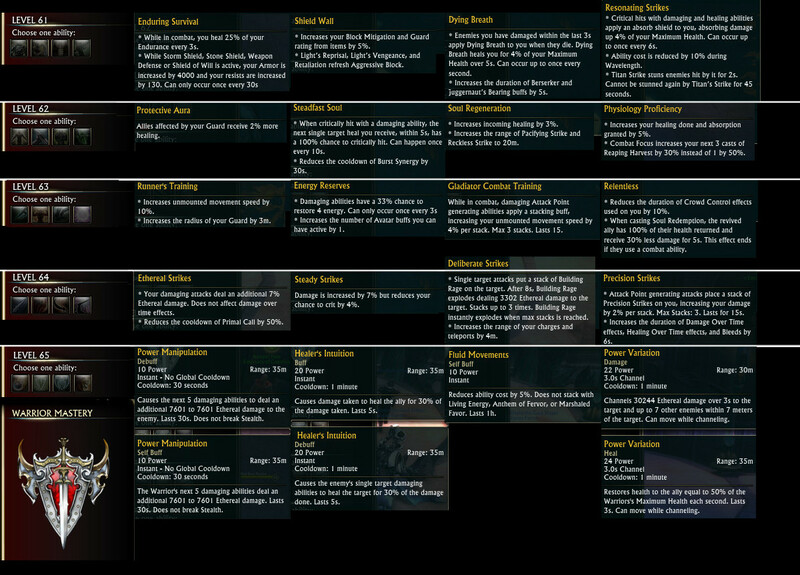 Masteries Changes – Masteries changes for Rogues, Warriors and Clerics. Class Changes – Rogue Assassin and Cleric Inquisitor changes. Achievements – Nightmare Seals removed + Conqueror: Mount Sharax reward added. Manugo League Further Update – Another companion pet + new Minion cards. 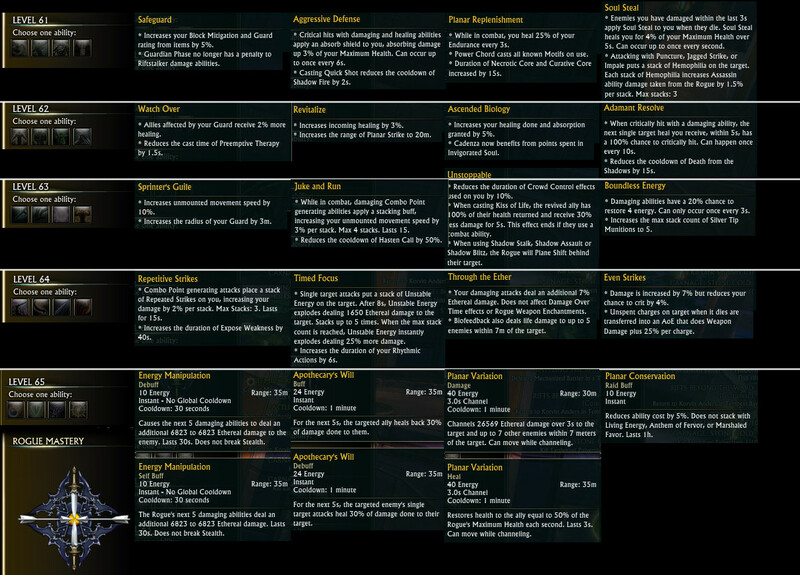 Crafting Update – Crafter’s Energy Infusion cost change, Amender Recipes price reduction. Parasitic Miasma removed and replaced by Sinister Resolve. Sinister Resolve: “Increases the damage of your damage over time abilities by 8%, your delayed damage abilities by 5%, and your non-instant, non-channeled, abilities by 3%.” Also “Increases the chance for Rampant Growth to apply Foul Growth by 10%”. Ethereal Strikes. New Passive: “Reduces the cooldown of Primal Call by 50%”. Planar Replenishment. Two new Passives: “Power Chord casts all known Motifs on use.” and “Duration of Necrotic Core and Curative Core increased by 15s”. Juke and Run. New passive: “Reduces the cooldown of Hasten Call by 50%”. Lethal Poison. Proc rate now increased from 30% to 50%. Heartseeker. Now Assassin damage is increased by 3/6/9/12/15% with Attack Power and Weapon dmg increased by 3/6/9/12/15%. This is compared to the original version which only increased Assassin damage by 5/10/15/20/25%. Radical Coalescence – An interesting addition to “allows Inquisitor channeled abilities to be cast while moving for 10s” on top of everything else the ability does. You could technically apply Nysyr’s Rebuke, Aggressive Inquisition and Harsh Discipline within the 10s buff’s duration, and Soul Stream (Mastery ability) can already be channeled whilst moving. Radical Coalscence now also grants Fanaticism again. Nightmare Seals sub-category removed. We might see these seals later on. Conqueror: Mount Sharax now has a Cosmo companion pet reward. It’s a moving Ice Oculon although the preview is kind of too big and he likes to go off the preview window. The new BiS Focus of Nightmares now requires Manugo League: Revered notoriety and costs 15,000 Void Stones + 200k Planarite. Some new Minion Cards have popped up on the Manugo League Goods vendor. The Minions Card Database has been updated with their attributes. Again, they cost 300 Void Stones like other notoriety Minion Cards. Another companion pet added to the Manugo League Goods vendor called McGillicuddy Mudskipper which requires Manugo League: Decorated notoriety. Crafter’s Energy Infusion now costs 1,500 Artisan Marks. Amender: 75 Grandmaster Marks, 250 Master Marks, 1000 Artisan Marks. Nightmare Rift Lures are now locked behind the “Nightmare #: Master” achievements. If you want to get Nightmare Rift Rank IIs and above, you will need to complete the preview rank’s Master achievement. Fernand NPC at Flargle Plaza in Draumheim now has a set of emotes with sound warfront advice. There’s now an R.N. Geoffrey NPC from <Dream of Good Luck> faction at 5553, 5453 in Flargla Plaza. Talks about a sparkling, mechanical unicorn made of exploding suns. Adventure, Synergy Crystal and Marks of Notoriety vendors have all been moved/models replaced in Flargle Plaza. Other things to note: Mount vendors are still not interactable and there’s still no rewards for chronicles or dungeons outside of the odd title. 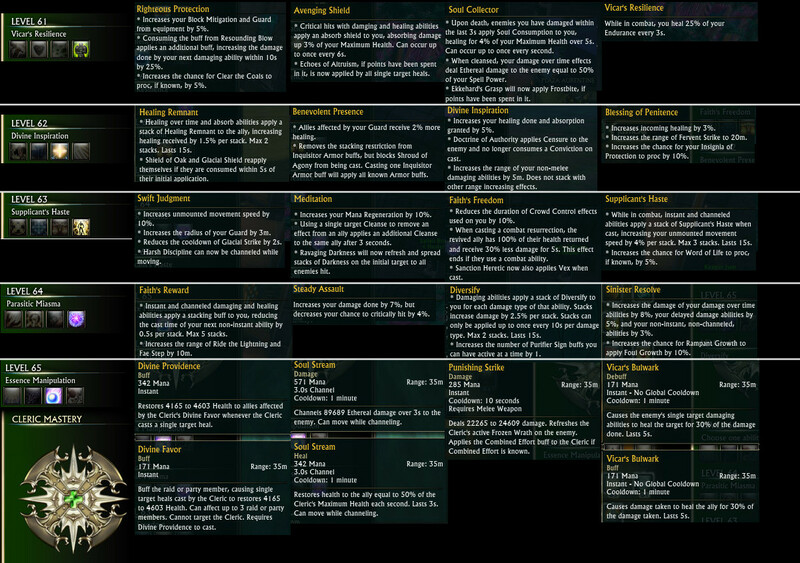 More Minion Cards and a few changes to other areas of the game were made with the latest Sunday PTS Update. Warrior Mastery: Ethereal Strikes. New Passive: “Reduces the cooldown of Primal Call by 50%”. WTF is “Primal Call” ?? It’s a Beastmaster self-buff that allows you to summon your companion instantly with no cost. Lasts 15s, has a cooldown of 1min. With the latest additional passive, using Ethereal Strikes would reduce it to a 30sec CD.